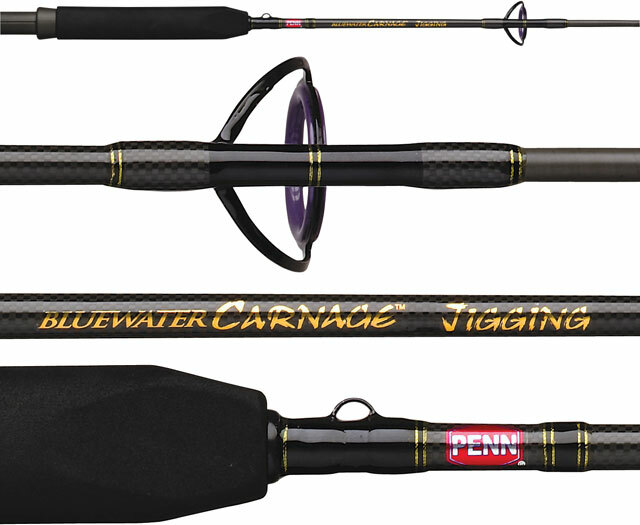 Penn Bluewater Carnage Jigging Rods are custom designed and balanced for optimum performance when paired with a Penn reel. Carnage rods feature a composite graphite blank that includes a carbon shield built into the blank and guide wraps for enhanced performance. 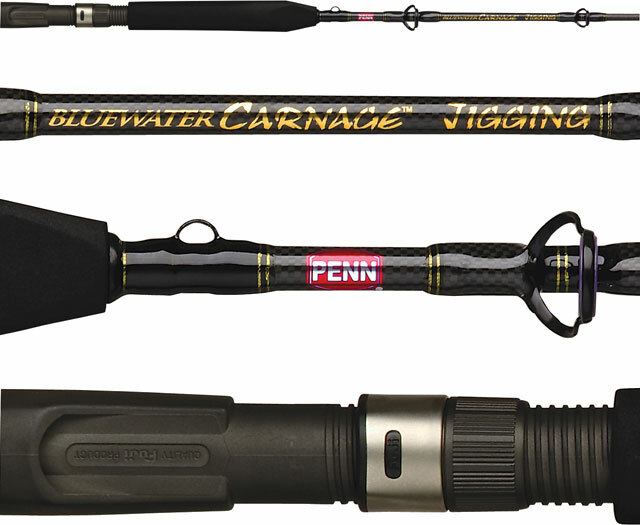 Carnage rods also feature EVA Torque grips that are contoured to fit the hand perfectly and prevent the rod from twisting while under a heavy load. Fuji SS ''HN'' flared frames with deep pressed Hardloy inserts are light weight and prevents the line from getting tangled around the frame. Hardloy deep pressed inserts also provide a larger surface area for securing the ring material to the frame. 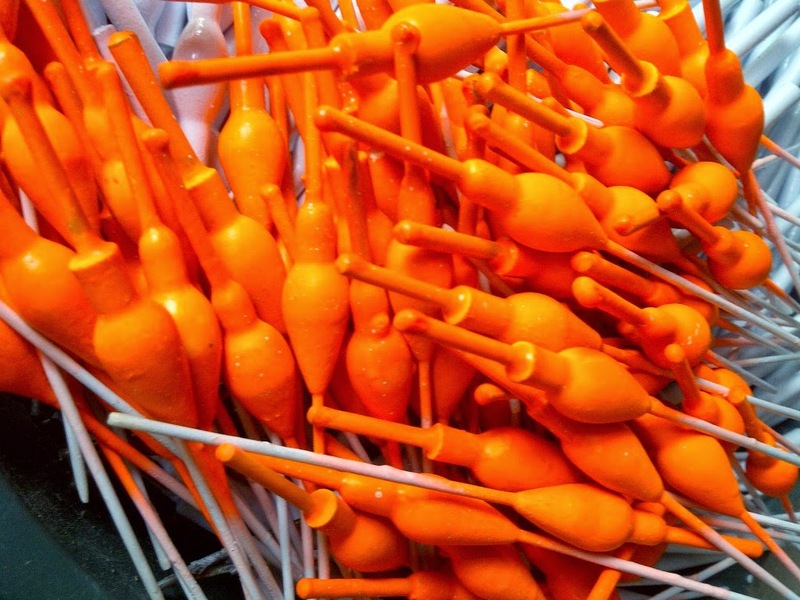 This provides a stronger bond for more durable longer lasting guides. Models include CARJG200C56, CARJG80130C58, CARJG65100C62, CARJG50100C66 and CARJG3080C66. 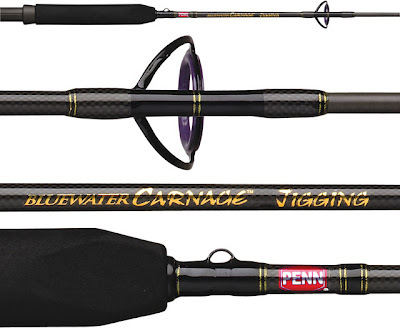 Ten Carnage Jigging rods are offered - five spinning models and five conventional models. 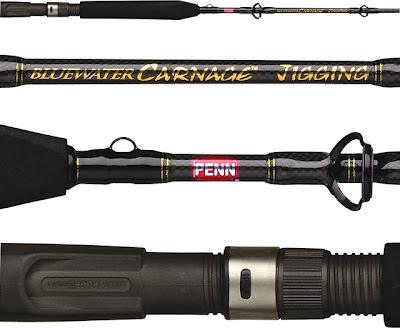 For optimum performance, pair a Bluewater Carnage rod to a PENN Squall, Fathom or Torque conventional reel or a Torque, Conquer, Slammer, Spinfisher or Battle spinning reel.